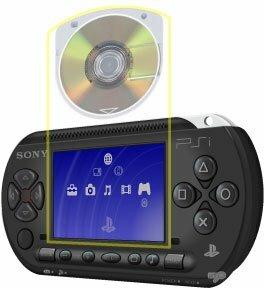 Is Sony going to be releasing a smaller, thinner version of it's PSP device, dubbed the PSi? According to NewTechSpy they are. Apparently, it will have a neary unscratchable 3 inch LCD touch-screen amongst other nicities. Sony is set to rock the gaming world once again with a new play platform entry. The PSi (interactive) is just 4.5” wide and carries a 3” LCD with 16 million colors. Other familiar features include a tightly squeezed UMD and memory stick duo. Amazingly the PSi has the same pixel resolution as PSP, with 480 x 272, so gaming titles will not have to be reformatted.New Tech Spy has learned through well placed sources that Sony is apparently hedging its bets against the possible death of UMD and positioning itself against Nintendo’s DS lite, which sold an impressive 380,000 in Japan in March.